The English Endurance pad measures 40" W X 23.75" L and weighs just 3 lbs. The same design as our English AP pad but with 1" inserts to absorb the impact of 100 mile races or everyday trail riding for English saddles. 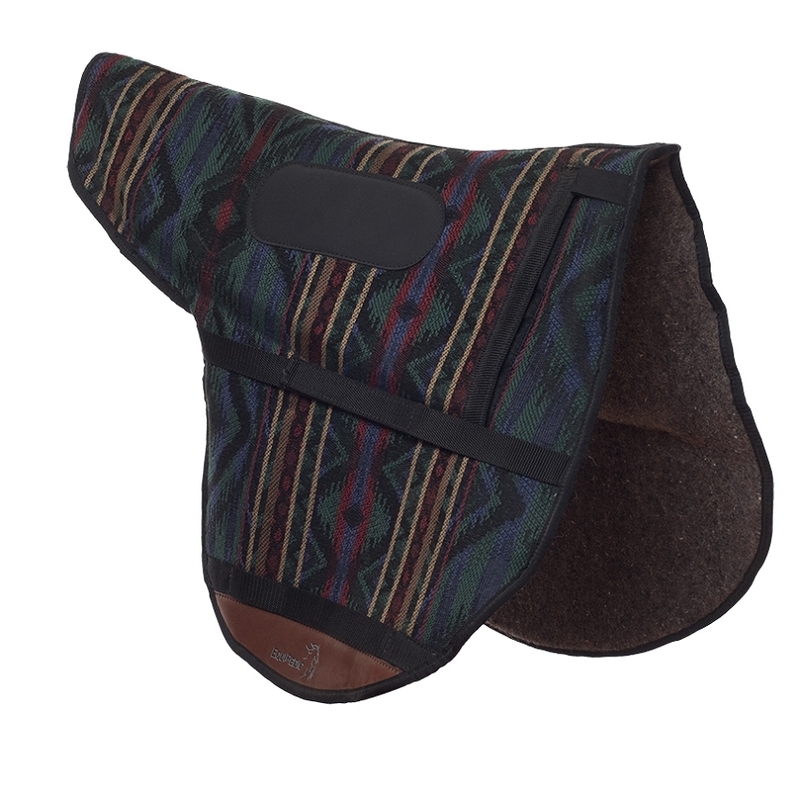 Choose from Raven Black, Navy Blue, Forest Green, Wine Burgundy, Mariner Blue, Barn Red, Purple, Coyote Brown or 2 Navajo prints. A Smart Textile Engineered To Optimize Performance The EquiCharge™ Oxygenated Energy Recovery System for horses takes advantage of recent development of smart textiles that are engineered for performance. EquiCharge™ incorporates Celliant™ (formerly known as HoloFiber), a fiber based on rare earth elements. Celliant™ (formerly known as HoloFiber) is optically responsive to wavelengths of ambient light as well as energy produced by the body. The mechanism involves interaction with cells that include the mitochondria (the power source of the cell), and influences increased oxygen levels in body tissues. This more readily available oxygen, can result in improved metabolism, an increase in energy as well as faster recovery from exertion. uses Outlast® technology to lower the surface body temperature of your horse when under performance! 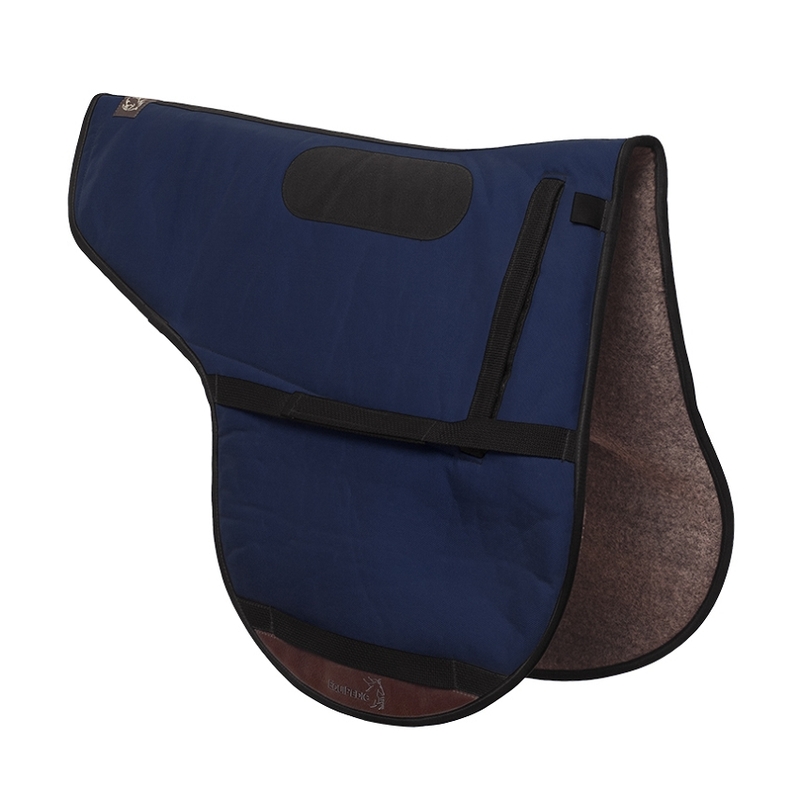 Unlike membrane wicking fabrics that just transfer limited amounts of moisture, EquiKOOL™ turns your saddle pad into an active cooling system. EquiKOOL™ is laboratory-tested and field-proven to keep your horse 4 to 5 degrees cooler for extended periods of time. 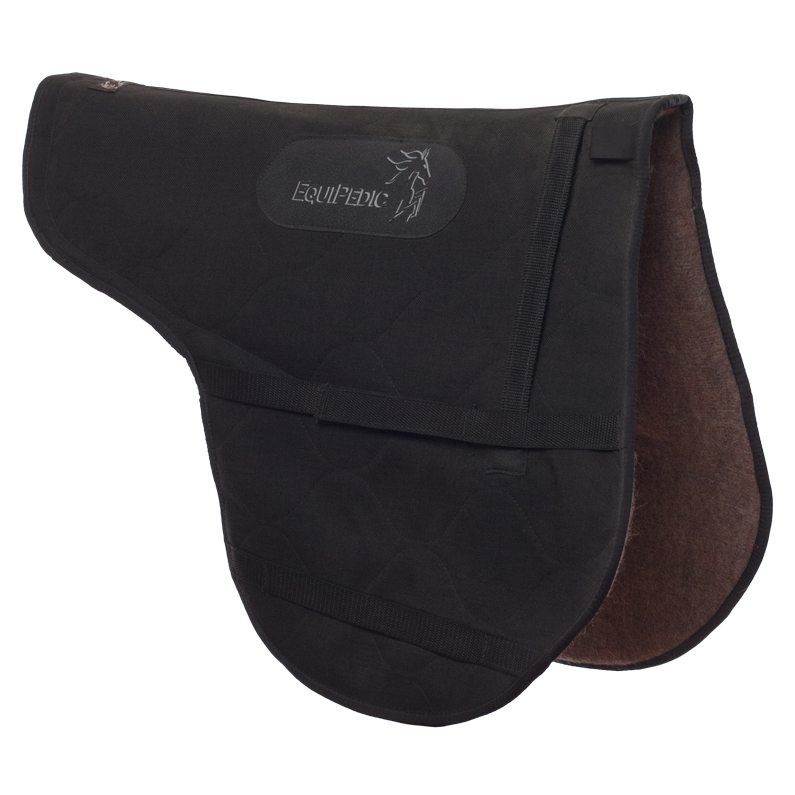 The EquiPedic™ saddle pad incorporates ConforPedic™ Impact Reduction Material™ to not only provide unsurpassed comfort for riders, but also protect horses from painful saddle sores. This unique material is able to absorb hoof impact (pressure) as it distributes the riders weight evenly over it’s entire surface area to virtually eliminate the "hot spots" that can lead to saddle sores. Proven ability to reduce pressure points! The choice of European veterinarians to protect ultra-sensitive horseflesh against pressure sores for over a decade! When It Comes To Air Flow And Breathability? 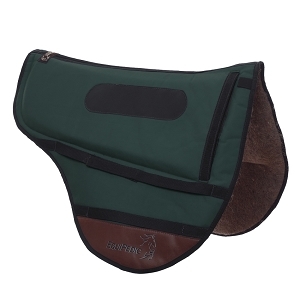 The EquiPedic™ saddle pad incorporates wool felt, non backed Cordura nylon, and the ConforPedic™ Impact Reduction Material™. 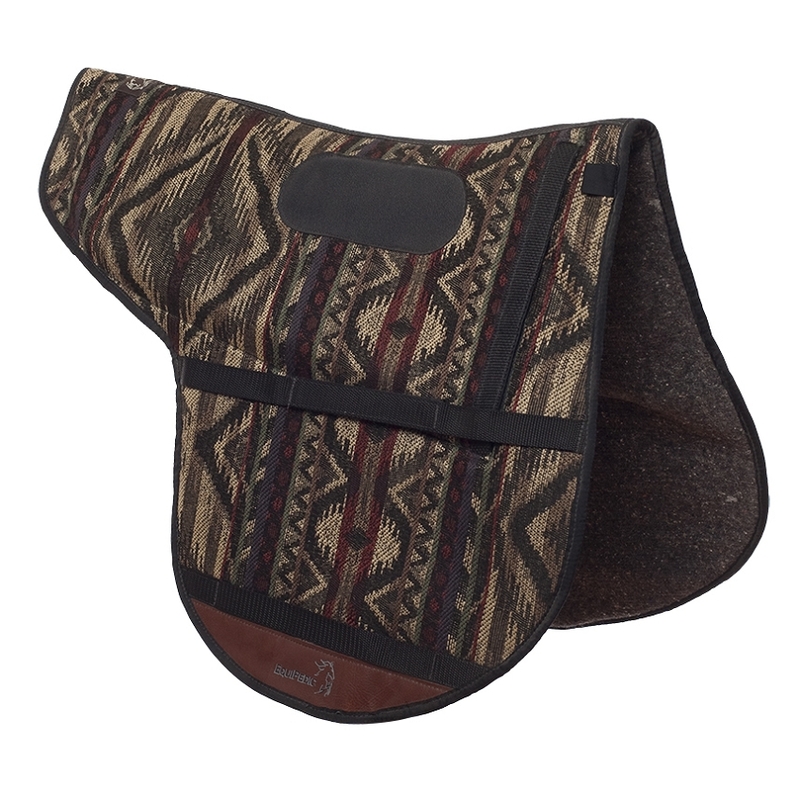 All are fully breathable and out perform other materials used in saddle pads with regard to unrestricted air flow. 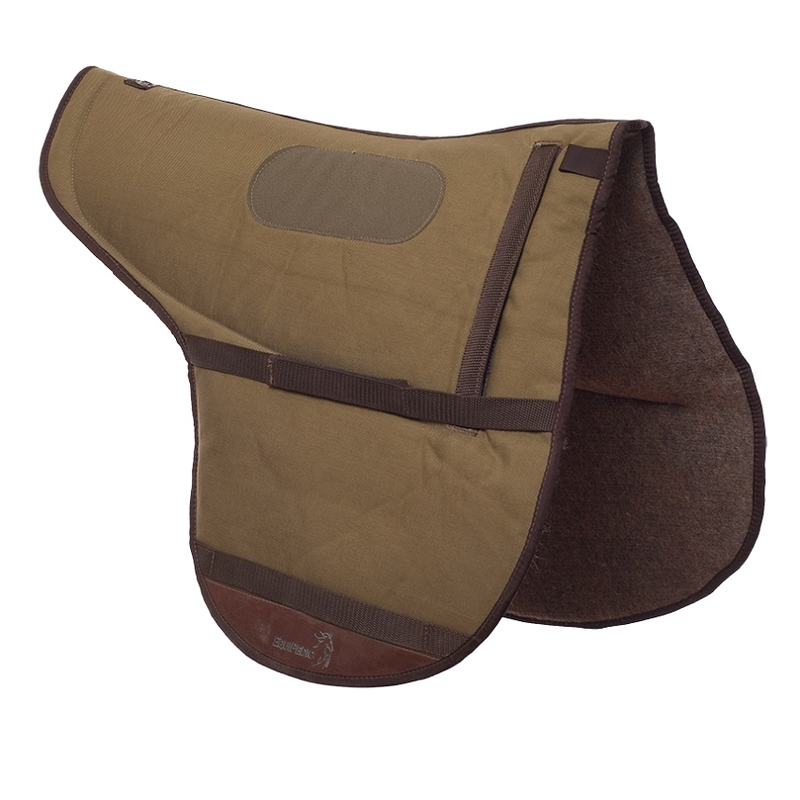 Nothing in an EquiPedic saddle pad will impede evaporative cooling. 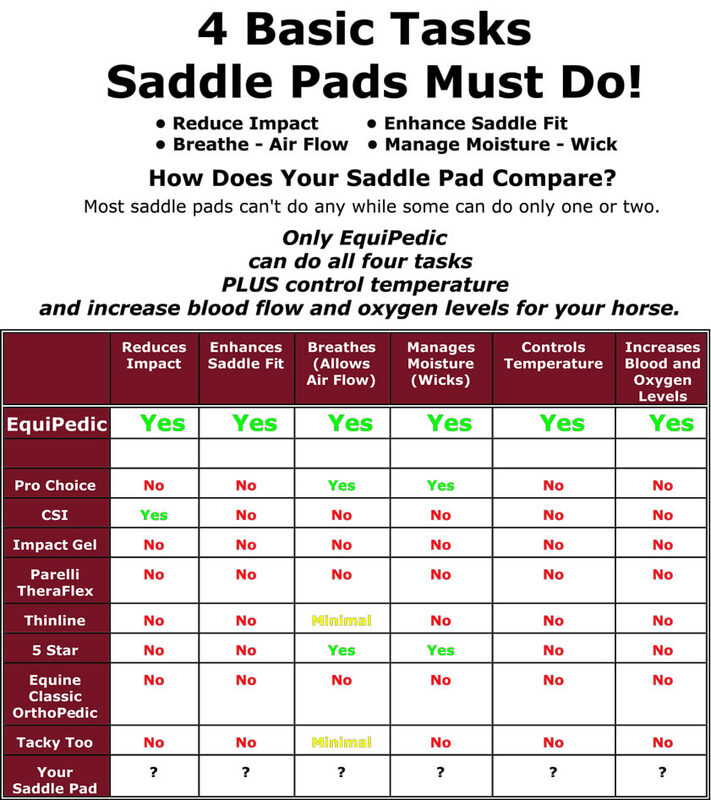 Independent testing proves that the EquiPedic™ saddle pad outperforms six leading competitors when it comes to unrestricted air flow and keeping your horse comfortable. The choice of top horse people to provide their equine partners with the competitive edge to perform at the highest levels of athletic competition. Yet, perfect for your back yard horse! 390% More Breathable Than Our Closest Competitor!